Columbia Southern Education Group (CSEG) is proud to partner with the International Association of Black Professional Fire Fighters (IABPFF) to present the Chief Joseph L. Jones Scholarship Award to a deserving member of the IABPFF. Joseph Lee Jones was the third of eight children born on February 19, 1953. He was educated in the St. Louis Public School system where he graduated from Vashon High School. In 1971 Joseph enlisted in the United States Army where he served 3 – years and was honorably discharged in 1974. On August 18, 1975, Joseph was hired by the St. Louis Fire Department. He was promoted to captain on July 22, 1984 and became a battalion chief on June 26, 2000. After thirty-five years Joseph retired from the St. Louis Fire Department. Even though Joseph retired from the department he continued his work with the black firefighter’s organization. Throughout his career he was a part of the Firefighters Institute for Racial Equality (F.I.R.E.). Upon his promotion to battalion chief he became a part of the St. Louis Black Chiefs organization an extension of F.I.R.E. at the chief level. In giving back for over 20 years to the Black firefighters’ organization, Joseph was the leader with all of our recruitment training programs. He taught potential recruits on the preparation of the entry level test, the physical ability test, and the interview processes that they would encounter. Joseph trained and prepared IABPFF members on the assessment center process, sat on numerous assessments for promotions throughout the United States to ensure fair and equitable treatment of all members being assessed for promotions. To say that Big Joe never forgot where he came from is an understatement because he exhibited it within his family, with the F.I.R.E. 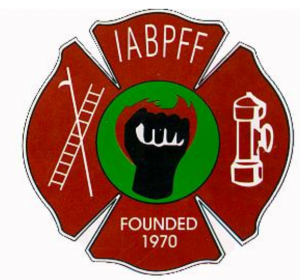 organization, the South Central Region and the International Association of Black Professional Fire Fighters (IABPFF). Joseph Lee “BIG JOE” Jones departed this life on March 17, 2013 and he would be humbled to know that we are honoring him with this scholarship in his name.